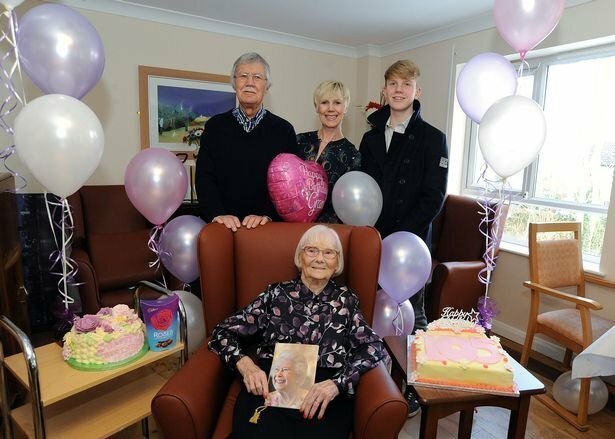 Leawood Manor resident, Jeanie Richardson, has lived through two World Wars, never touched a drop of alcohol, and can still boogie with the best of them – and today Jeanie got on her dancing shoes and celebrated her 105th birthday in style. 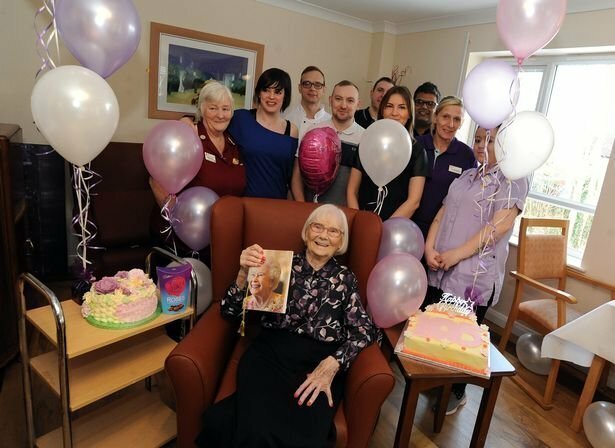 Mrs Richardson, who is thought to be one of the oldest people in Nottinghamshire, was even able to live independently until age 100, and the former catering lady shows no signs of slowing down, even rising to her feet to have a dance around as she celebrated the special day on Tuesday 27 February. 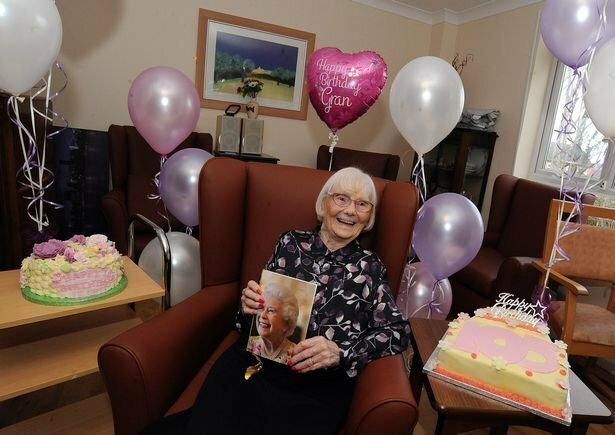 Jeanie came to Nottinghamshire to retire, living in West Bridgford with her husband Arthur, who passed away aged 92. Originally from Yorkshire, she wanted to be closer to her family and has been a Notts resident for more than 20 years. Her husband was an engineer during World War II and also served with the fire brigade. They had one daughter, Pauline, who passed away aged 69. Jeanie was the youngest of five children. She has two grandchildren, Michelle, 50, and Andrew, 54, and three great-grandchildren, Jake, 18, Alfie, 16 and Taylor, 15. With a big smile, she said "I want to get a trumpet and tell everyone my age. I always had home-cooked meals because we had no money. We were poor in those days. I never drank and never smoked. I used to like walking - we had to walk because we had no money." Her granddaughter, Michelle Willis, said: "It's incredible. She has never had any illnesses. She just gets on with it. She is a strong willed person and knows how to look after herself." Her great grandson Alfie added: "She has never had a processed meal in her life. She is just joyful all the time. She has better dance moves than me." Zimran Alam, Manager at Leawood Manor, said: "We are amazed - she is the oldest resident we have had. She loves dancing. She has a good quality of life."